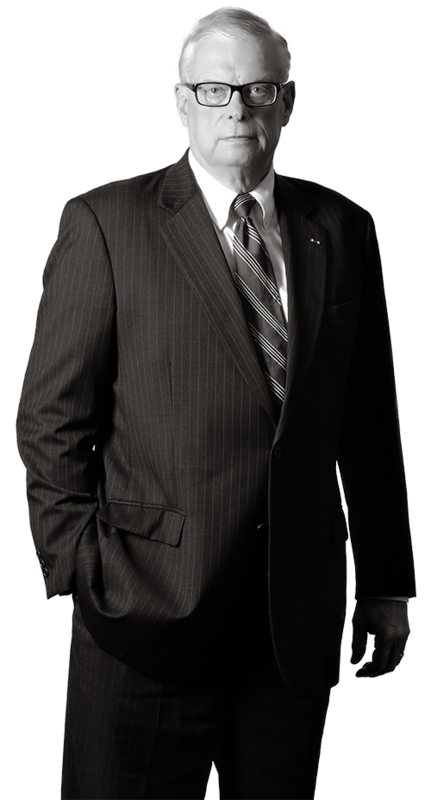 Bob is a highly experienced and proven litigator at both the trial and appellate court levels. With more than four decades of experience in complex federal and state litigation and dispute resolution, Bob has prosecuted and defended complex claims involving into the hundreds of millions of dollars. In addition to his experience in intellectual property dispute resolution, Bob has been involved in general corporate defense, licensing litigation and product liability defense. He has also argued several cases of first impression involving litigation of non-competition agreements and trade secrets at the trial and appellate levels. Sincere, hard-working and thoroughly prepared, Bob’s direct communication style is consistently appreciated by clients and colleagues alike. Bob is valued for his candor, and the solutions he offers to seemingly inextricable acrimony. Bob is particularly well-versed not only in the variety of technical and scientific subject matter involved in IP related disputes, but also at converting such complex information into easily-understood straight-talk. Honeywell International v. Furuno Co. Ltd., et al. Jarvis Products Corporation v. Durand International S.A.
Bliss Clearing Niagara, Inc. v. Midwest Brake Bond Co.
Babcock & Wilcox Co. v. Tidelands Oil Production Co., et al. Perceptron Inc. and Ford Motor Co. v. FORI Automation Inc.
Bob is frequently invited to speak before various legal, civic, educational and military organizations. Alternative dispute resolution has long been a significant aspect of Bob’s practice. His expertise as a trial lawyer has readily translated into the successful representation of clients in arbitration and mediation proceedings. In addition, his diplomacy and negotiation abilities have resulted in the swift resolution of disputes. Bob’s clients appreciate his commitment to resolving their disputes without resorting to litigation when and where it is in their best interest to do so. A Principal of Harness Dickey, Bob currently serves as General Counsel to the Firm.